By the time I was fifteen years old I was working steadily in the food industry; juggling sports and school work, I was a typical suburban teen in the Mid-West. Everyone at the restaurant smoked–who didn’t? The managers, one in particular–we called him Beamer–would buy us all cigarettes. I never wanted to smoke to be cool–but I did start smoking to be accepted. By whom? My ex-girlfriend. We dated on and off for over a year; I was sixteen. She started smoking cigarettes, and doing all that fancy stuff that sixteen year-olds fancied themselves on being ultra fancy for doing–like freaking Black & Milds and hitting a bowl a few times after class in the High School parking lot. I wanted to be fancy–I wanted her to like me. No, to love me. I asked my friend Jeff–who was 18–to buy me a pack of Kool cigarettes. I wanted to be kool. I did. I remember smoking Camel wides–Ray smoked Camel wides–on break outside the restaurant. We we were all hanging out. My ex girlfriend and her friends would come visit us on break. Ray was friends with them all; we were all friends like the old “we are all so groovy and and hip, just hanging out with the ladies at the parlor after school, but we didn’t even go to school we just skipped because we’re cool greasers like that” kinda days. The girls would roll up and I thought I was a the baddest kid in town until Ray told my ex girlfriend that I didn’t inhale. I was so embarrassed and vexed–how can you smoke a cigarette wrong? I was smoking cigarettes wrong, probably for at least a week, naw, probably two. I was young: barely sixteen remember? I finally learned how to inhale–Camel wides–buzzed. Hey, don’t judge, I was sixteen. It was my first cigarette. It was a Camel wide, remember? I was buzzed OK? It was cool, I was kool. My ex and I never officially got back together–or wait, I think we did. We just rolled around like that “I don’t really care if we are official or not” kinda couple, just hanging out and doing fancy teenage things, ya know? We were rebels. I wanted to be anyway. Well, never mind, we never got back together I don’t think. At least not long. 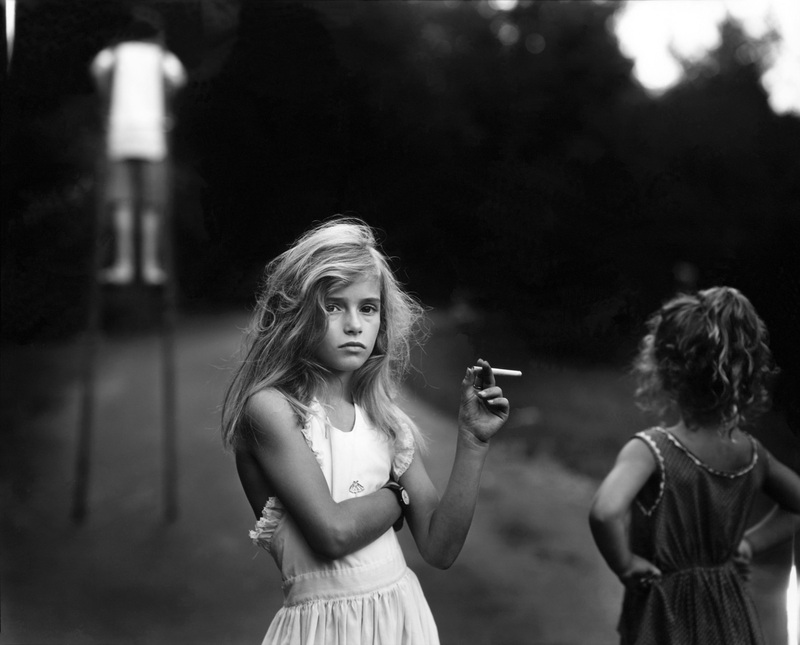 It was all over, and I was just a bum kid–sixteen remember?–stuck smoking cigarettes. Oh well. For the life of me I don’t know why I persisted in continuing smoking those stupid Camel wides–for a couple years I did!–they were so big and gross, and made me throw-up sometimes on break. Hey, I was young, I never ate much: I was just a kid, smoking those Camel wides, OK? Shane and I used to smoke joints, you know–everyone was smoking blunts, but not us–yeah, we would just go out into the park and light up that joint and just chill on it, you know. I was always smoking cigarettes right after. Hey, I was just seventeen you know, barely getting by, but I always lit up that cigarette after. I used to tell everyone it got me higher. I don’t know if that was true or not–hey, I was just a dumb kid, I didn’t know all that fancy stuff about being knowledgeable and stuff, we were just trying to be fancy, like those cool kids, you know, the greasers in the 50’s; no, not those guys–like those beatniks of the 60’s. We didn’t care, we were beatnik: Shane and I that is. We talked about Hunter S. Thompson, the Beatles, Jim Morrison, and would listen to Led Zeppelin in my car. We loved Led Zeppelin, especially just chillin on that Mild. Me and Shane were always chillin on that Mild, you see. When I went off to college I stopped smoking those dang Camel wides, you see, I got turned onto something called menthol. Yeah, you know, menthol is this kind of cigarette that supposedly was created to kill the blacks and the Jews, because it has this kind of fiberglass in it–hey, don’t blame me, I was just a kid, barely eighteen you see, and I was just repeating back what Goo told me. Goo was the leader of our group. He was always so clever, cunning, and witty. I wanted to be like him. He was always smoking those menthol cigarettes, you see, and so I started smoking Marlboro Menthol, and whatever other Methol was BOGO or on sale, you know, I was poor broke. So flat broke, I spent all my money on drugs, you see–I know, I worked in the game room at school, it was a good school, a good ol’ Christian school, the Quakers, you know, so I was a good ol’ boy–so I was always broke, because well, hey sometimes I was a Quaker: one time Sarah and I tripped on DXM and ecstasy, and well, I was quaking alright. E was with us; he was like seven feet tall (he got a scholarship to play basketball, but he was injured or something, so he was always just doing drugs with us and smoking those Parliaments). We had strobe lights one time. I don’t really remember much of that year, you see, I was just eighteen, and, well, we couldn’t even smoke cigarettes on campus so we had to go off campus just to smoke, or else we were always at ‘Twan’s house. ‘Twan was this giant black football player, always hooking us up with drugs, and you see, we were always just bumming out at his house, smoking blunts and watching Pineapple Express. I think we watched that movie 50 times that year, no joke. DJ was always bumming cigarettes off of us all. I would be more friendly when I had Paul Maul Menthols. You see, those Paul Mauls were the worst–but they were the cheapest and they were menthol. Remember, I was broke. Always quaking or something. I don’t know, we were so young. I got kicked out of school that year for some bogus stuff. I was trying to be all fancy, and so I picked up the rare art form of selling drugs. I didn’t get officially “caught” or anything, I was too fancy for that, but well, you see, I just didn’t want to do that stupid community service. I was too fancy for that. I headed back home and started community college. I was always smoking those Newports. I smoked those Newports all the way to Newport, I’ll tell ya. Those Newports were always on sale for a dollar off, and they were all fancy. We used to call them Cadillacs, because they were luxury menthol. I would bum out with all the community college losers. I was one of them; I was just bummin’ out smoking those caddies. Hey, I was barely 19, you see, still a kid, and just smoking those caddies. What could I do? I didn’t have a good job, and so I was always broke for money, you know. I was a no-name then. I nameless faceless caddie smoker. I don’t think I was too fancy then, you see, I was just riding those Cadillacs all the way to Newport. I think I used to bum out with my friend Sam. He was younger than I, but you know, what could I do? I was just smoking those caddies and doing 19 year old stuff. One time Sam and I ate a track of mushrooms each; we walked all over the whole entire universe, I’ll tell ya, but really we sat on this graffiti wall–see, Sam was the “I love graffiti and rap and street art and chilling with my homies” kinda guy, and so he showed me to this wall in the woods he used to practice tagging on–for the entire night, waving our legs talking about some weird fancy stuff. I smoked an entire pack of those caddies just sitting on that wall booming out of my mind–driving all the way to Newport, probably, you know, we did that kind of stuff, we were all young then: barely 19, OK? Well, you get the point. When I went off to the University again, I was still smoking those stupid menthol cigarettes. My car perpetually wreaked of smoke, but I didn’t care, I liked it. I was always smoking in my car, you see, always using that ’92 old-school cigarette lighter in my car. I used that puppy till she burned out–seriously! I was so proud of my ’92, with ashtrays on every seat, and in the center dash. You see, they don’t make ’em like they used too. Now you gotta all “buckle up or the car will yell at you”, and forget about having a cigarette lighter!–now the government is all “if you smoke you’ll die and get lung cancer and have the tube thingy in your throat so don’t do it,” running those kinda add campaigns, and so, you see, they don’t make them cars like they used too, you know. Hey, I was young back then, just 20 years old, you see? We would pre purchase plenty of those babies, especially when you knew that it was going to be a real fancy night, you know? Like Halloween when we all got real fancy and crazy. That night we all got real fancy on some coke, and got our hands on some good acid. I dropped that acid so hard, I’ll tell ya, so hard in fact that I had to make out with a guy to get it–no joke! Hey, what could I do, he was real flamboyant and young, you know, and I just wanted to drop that acid so bad, I’ll tell ya. I got real fancy and fried up my brain real good, I ended passing out some person’s lawn, going bonkers out of my mind on all those drugs, I’ll tell you, straight bonkers! But c’mon, it’s the University, you know how it is, with all those frat boys and sorority girls, being all fancy and stuff. Mel and I were inseparable. So was the rest of the crew, you know, they all had those fancy names, but you don’t need to know them all, because well, they were a strange bunch. Chris ended up going crazy, stealing everyone’s stuff–like Aunna’s iPod and whatnot–so he could get more blow; yeah, he betrayed us all, but what can you do, we were young and barely 20 years old you know? Aunna always liked me real hard, and I used her up so shamelessly, yeah, I used her so shamelessly and dirty like, but what could I do? She was just flinging herself on me all semester, and well, you know how you act when you’re all bonkers on painkillers. Cory, I, and the rest of the crew used to drive out to the urban parts, real fancy like those Denzel Washington movies, you know, and pick up the good cocaine. I’ll tell you, we used to chop her up real fine back at Mel’s place, real fine I’ll tell ya, and take turns blowing some fine lines. Each line was intercepted by a cordial cigarette break. You see, we were always smoking those dang cigarettes when we were blitzkrieg high on coke, because well, we were just driving so fast, I would drive to Newport and back round trip in one night no problem, you see, no problem. You see, cocaine is the only drug that you talk about while you’re high on it? We would just get all bright eyes and bushy tailed about how we had a whole eight-ball left for the rest of the night, and how fine and pretty she made us feel. No doubt, we were so zealous about her, we would spin Eric Clapton on vinyl, and just have a grand old time, you see. It was the University, what could we do? We were always licking our entire pack of cigarette filter ends and sticking them in some blow, you see, the ether in the coke would be so sassy like, “I’m gonna make you lips so numb like, you won’t even feel them, not one bit,” and we would just be having a grand old time playing in that snow, I’ll tell ya, night after night I could not feel my face, not one bit, nope–one time I was up for a week, I’ll tell you, just driving to Newport and back, no big deal. Just smoking those caddies with those numb lips, those stupid numb lips; we were always going through the drive through mart picking up 40’s to chill on, you see, we were always getting so stupid on those 40’s every night. 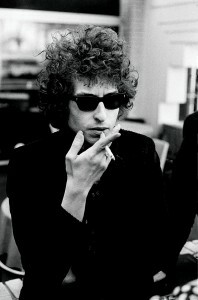 Hey, were just so fancy and young, I’ll tell ya, I just wanted to be Bob Dyan, you know? A couple times I had some cool gigs at the main stage down town, opening for some groovy out of state folk singers, I really got my giddy-up on, I’ll tell ya. We were blowing down all night, I just zipped on up there so quick and sang all these goofy Bob Dylan songs about being fancy, smoking weed, and being real beatnik, you see? I had a tip jar so people could tip me so I could buy more cigarettes. I was always asking for more cigarettes, you see: they always seemed to run out! but I didn’t pay no mind, I was just smokin’ that Cadillac headed to Newport. I didn’t pay no mind, no sir, no mind, not one bit. 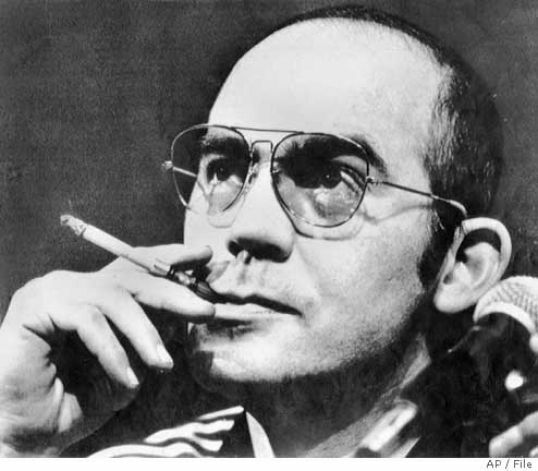 I fancied myself like Hunter S. Thompson or someone real fancy like that. Someone real beatnik, like Bob Dylan or someone else. Nope, I didn’t pay her no mind at all. Hey, we were young then, barely 20 years old, what can I say? I probably met and got fancy with over a thousand people in a mere half-decade, smoking those cigarettes, and doing those drugs and what not with all those nameless, faceless vagabonds in hundreds of different cities; but hey, it is all a blur in my mind, and one night, pray tell, I just lifted my eyes up to God and awoke from that terrible nightmare that kept me driving to Newport and back like some fancy vagabond; what’s more, I finally stopped smoking those blasted cigarettes: that was three years ago.